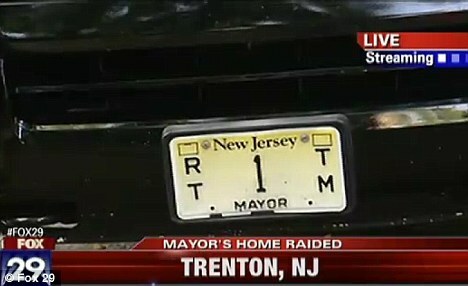 The home of Trenton Mayor Tony Mack was raided by several FBI agents this morning who were seen to take equipment from two large SUV’s into his residence. Walking into the mayor’s home at around 1 a.m., agents wearing windbreakers and T-shirts removed two boxes from the house just after 6 a.m. and loaded them back into the cars sitting outside. 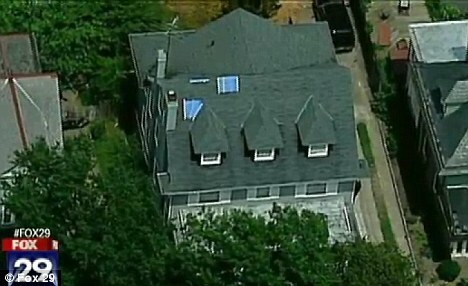 Departing shortly afterwards along with the police, the FBI have not returned any phone calls as to the nature of their investigation nor what they were searching for and removed from Mack’s home. Trenton Mayor Tony Mack’s home was searched by up to 10 FBI agents this morning who left the house with two boxes at around 6 a.m.
Mack has drawn criticism since he was elected in 2010. The Democrat’s first term in office has been punctuated by accusations of reckless spending and nepotism. Under an agreement reached last year, Mack can only hire department heads from a pool of applicants the state offers or he risks losing $6 million in state aid. The police were called to the 800 block of Berkeley Avenue in Trenton at approximately 1 a.m. after the FBI requested assistance with the search operation said Lt. Don Fillinger of the Trenton police. Fillinger said that in total there were around 10 FBI investigators in 46-year-old Mack’s home by around 4 a.m. and witnesses said that the agents could be seen throughout the home with camera flashes visible on the second floor. In addition to Trenton Mayor Tony Mack’s house being searched it has been revealed that his brother’s home and a campaign contributor’s were searched too. Ralphiel Mack, who is the mayor’s brother and head football coach at Trenton Central High School was visited by FBI agents overnight. Another search warrant was issued and executed for the home of Joesph ‘JoJo’ Giorgianni, who is a convicted child molestor, who donated money to Mack’s campaign in 2010. No arrests have been made and no charges filed yet a spokesman for the U.S. Attorney’s Office said. Born and raised in the Wilbur section of the city, Mack was sworn into office on July 1st, 2010, after a defeating Manuel ‘Manny’ Segura. Succeeding Douglas H. Palmer, who had served as mayor of Trenton for the previous 20-years, Mack has become a controversial figure in Trenton politics. Last year, thousands of Trenton residents tried and failed in their bid to have Mack removed from office on grounds that he was leading the city in the wrong direction. 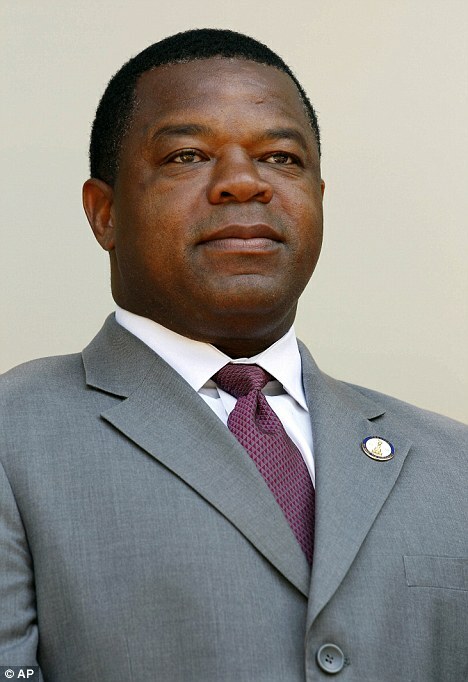 They claimed that Mack was establishing unstable leadership at the cabinet level and had made more than 105 police officers in the city unemployed. It is believed that Mack was at home with his children before the agent’s arrival and that he answered the door in his pajamas. Despite there being no reason given by the police or the FBI for the early morning raid, Mack was adamant that he had done nothing wrong. ‘I have not violated the public trust, nor have I violated my public duties,’ said Mack to CBS Local news in Philadelphia. Even though he has faced serious criticism since his 2010 election, Mack has never been suspected of being under a criminal investigation. Mack admitted to the The Times of Trenton in December that the city was conducting an internal review after one former recreation department employee filed a wrongful termination lawsuit against the city. He said that an ‘internal controls review’ had led to information being turned over to the Mercer County Prosecutor’s Office, although no further information had been released since. As well as the recreation department, Mack said that the city had begun a review into operations at the Department of Housing & Economic Development and the water board. The lawsuit brought by the recreation department employee alleged corruption, cronyism and mismanagemnet under Mayor Mack and Harold Hall, a co-defendant in the suit who is an acting public works director. The complaint alleged that Mack stole 12 city-owned tents, thousands of dollars worth of permit fees went unrecorded and that Hall attempted to bypass normal procedures for construction projects. In addition, members of a political action committee named the Partners for Progress came to be interviewed by the FBI after the group’s $7,200 donation to Mack’s campaign was queried.